Below are listed the most amazing natural and man made landmarks of Melanesia. Benbow lava lakes, Marum lava lakes and Ambrym volcano acid rain – Vanuatu, Malampa, Ambrym island. In these closely located craters very often are observed nearly permanent, violently boiling lava lakes. Benbow crater is spectacular, very deep hole with vertical walls. Acid rain formed by the gases from craters has burned approximately 100 km² large plain in the jungle of Vanuatu. Here live specially adapted organisms – insects, orchids. Kavachi – Solomon Islands, Western Province. Unusual, very active submarine volcano. Since the first sighting in 1939 it has rised above the sea level at least eight times and then eroded back. Mount Yasur – Vanuatu, Tafea, Tanna island. One of the most active volcanoes in the world, erupting at least for several centuries. 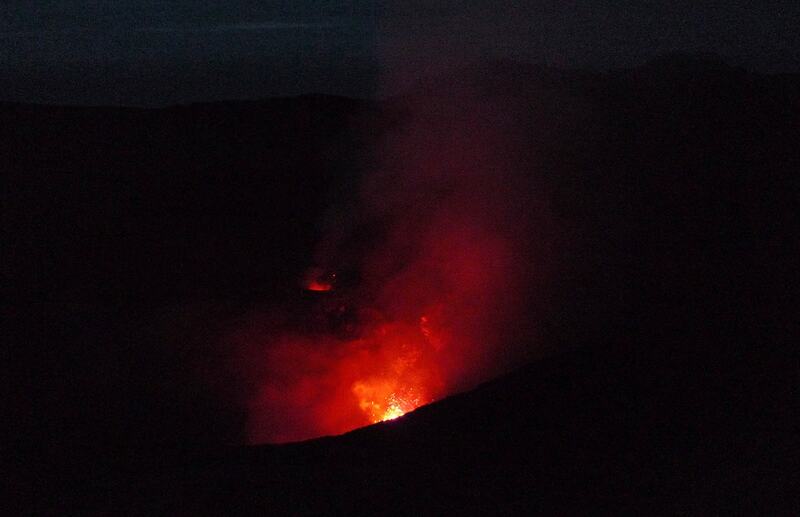 Volcano represents impressive, barren cinder cone contrasting with the usual forested landscape of Vanuatu. Often several times per hour can be observed spectacular explosions of molten lava. Volcano is 361 m high. Deidei geysers (Dei Dei) – Papua New Guinea, Fergusson Island, Milne Bay Province. A group of three interconnected geysers erupting every minute up to 4 – 5 m high. Pangula geysers and hot springs – Papua New Guinea, West New Britain Province. Powerful geyser with up to 10 m tall eruptions of gas-charged water. Poghorovorughala geothermal area – Solomon Islands, Savo Island, Central Province. Active geothermal area with boiling alcaline springs, boiling mud pots and fumaroles. In the area are located also some spouts of hot water – low geysers. Many springs produce unusual carbonate – opal – anhydrite deposits. Such alcaline springs are rare. Thermal fields of Lake Manaro Lakua – Vanuatu, Penama, Ambae (Aoba) island, south-east from Manaro Lakua Lake. Thermal field with hot springs and fumaroles (some sources mention also geysers). Located in pristine tropical forest with numerous endemic species including endemic orchids. Teouma Gorge – Vanuatu, Shefa, Efate island. Spectacular, almost inaccessible gorge. The Hindenburg Wall – Papua New Guinea, Western Province. Giant, more than 300 m tall and 25 km long escarpment, has caused unique patterns of air movement which has sculpted the rock surface. Extremely high rainfall (more than 10,000 mm per year) causes frequent landslides. Upper Navua Gorge – Fiji, Central, Viti Levu. Amazing gorge, deeply cut in volcanic rocks. Gorge has up to 75 m tall walls with some 25 – 5 m wide stream in between. 50 – 100 waterfalls on both banks. River has endemic fish species. Atea Kananda Cave and Atea Doline – Papua New Guinea, Southern Highlands Province or Western Province. Giant, beautiful cave system, total explored length – 35 km. River sink into this cave starts in the more than 100 m deep (some sources state 300 m) Atea Doline with gorgeous, impressive waterfall leading into underworld. Benua Cave and sinkhole – Papua New Guinea, Bougainville Autonomous Region. Giant cave at the bottom of impressive, 100 m deep jungle covered sinkhole. Cave consists of single chamber – but this chamber is one of the largest in the world, with volume 4.5 million m³, length 470 m, width 150 m and height 170 m. It would be easy to fly with helicopter inside this cave. Cave contains 18 m tall stalagmite. Grottes d’Adio – New Caledonia, North Province. Longest known caves in New Caledonia, explored part is 6 km long. Formed by underground rivers and in some places leads to secluded forested valleys. Contains rare, beautiful speleothems. Mamo Kananda Cave – Papua New Guinea, Southern Highlands Province. Giant cave with explored passages 55 km long, longest known in Papua New Guinea. Three largest cave chambers have a volume of 1 million m³. Enormous cavity called Space Oddity is located 525 m below the entrance. Megeni cave and waterfall – Papua New Guinea, East New Britain. Enormous cave opening in gorge with 80 m tall waterfall falling into it. The beautiful cave has been mapped in 7.2 km length. Selminum Tem – Papua New Guinea, West Sepik Province. Giant cave system, total explored length is 20.5 km. Skeleton of Myocene syrenian found, endemic snails. Cave is very old, with deposits from two glacial periods in it. 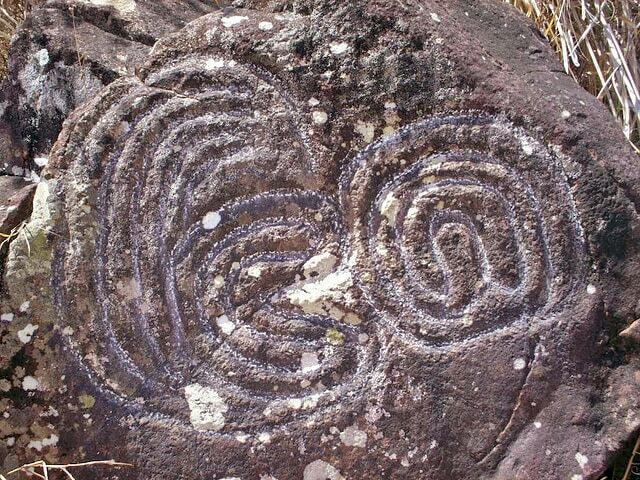 Contains engravings and other traces of human habitation. Lomes Longmot – Indonesia, West Papua, Vogelkop Peninsula. Giant sinkhole, 330 m deep, with vertical walls. 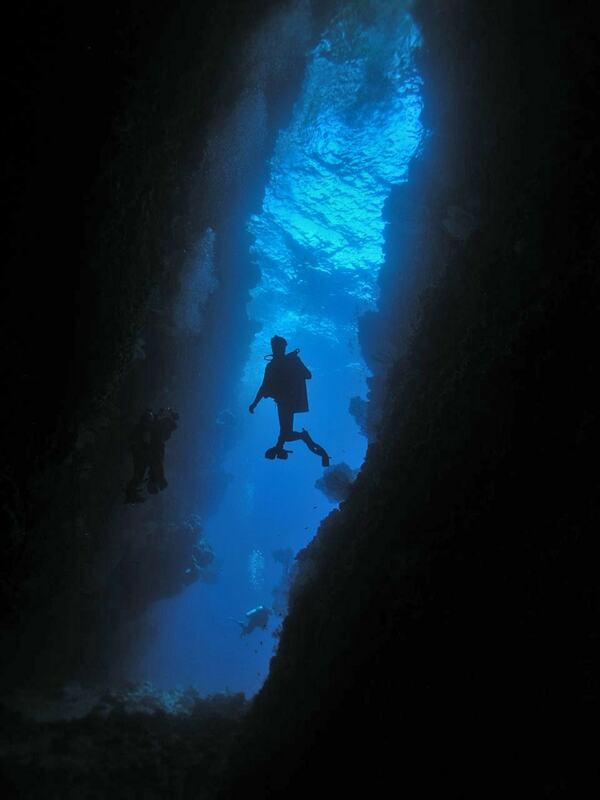 Continues deeper as a cave, reaching 360 m depth. Lusé – Papua New Guinea, East New Britain Province. Partly collapsed, up to 250 meters deep and up to 800 meters wide sinkhole, volume – 61 million m³. Largest sinkhole in New Britain and even – whole world, although not the most impressive one. Below there is debris covered with jungle. Minyé sinkhole and cave – Papua New Guinea, East New Britain Province. One of the largest and most impressive tiankengs (giant sinkholes) in world, located in exotic jungle and crossed by powerful underground river. Up to 510 meters deep, 350 meters across, volume – 26 million m³. It continues as a cave system. Explored length of cave passages is 5,421 m, maximum depth – 468 m. Contains one of the largest cave rooms in the world – Tuké room, 240 m long, 200 m wide and 130 m high. Naré sinkhole – Papua New Guinea, East New Britain Province. One of the most spectacular sinkholes in the world, also located in exotic jungle. Up to 310 meters deep, up to 150 meters across, volume – 4.7 million m³. Walls are overhanging, below flows a powerful river. At the top part of sinkhole, inside it often form clouds. Further cave reaches 415 m depth. Ora sinkhole and natural bridge – Papua New Guinea, East New Britain Province. 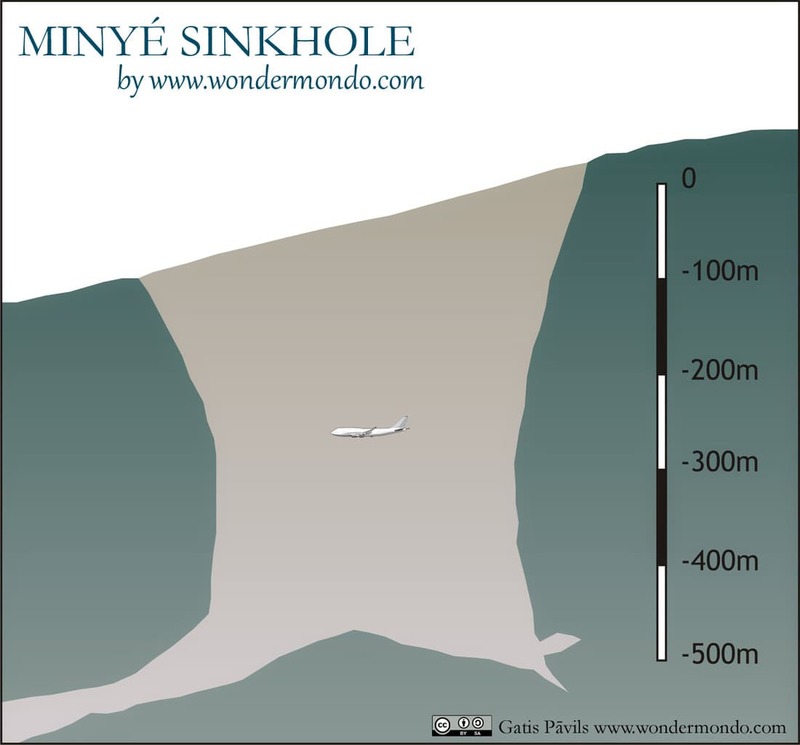 Up to 275 meters deep and up to 1400 meters long sinkhole, one of the largest in the world by volume. Degraded sinkhole which contains a rock bridge in the center – created by the cave river flowing through it. Ora Caves have been explored to more than 5 km length, contain impressive, up to 40 m tall waterfalls. Cascade de Tao (Tao waterfall) – New Caledonia, North Province. 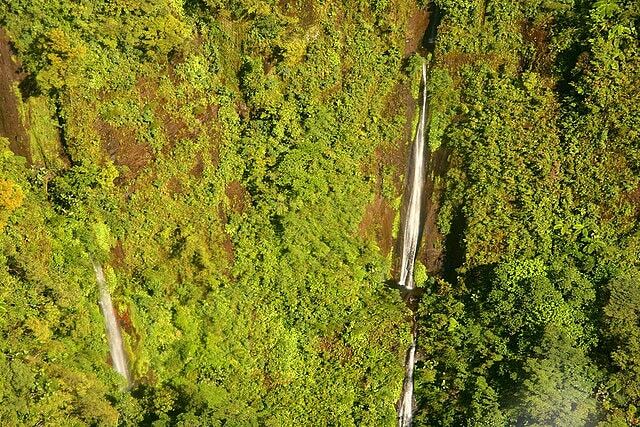 The tallest of the many waterfalls in New Caledonia. Magnificent waterfall with several plunges. Bisi Falls (Wasi falls) – Papua New Guinea, Southern Highlands. Very impressive, some 100 m tall and 90 m wide waterfall with huge amount of water. Next to it are numerous spring waterfalls which form some 200 m wide veil of falling water. 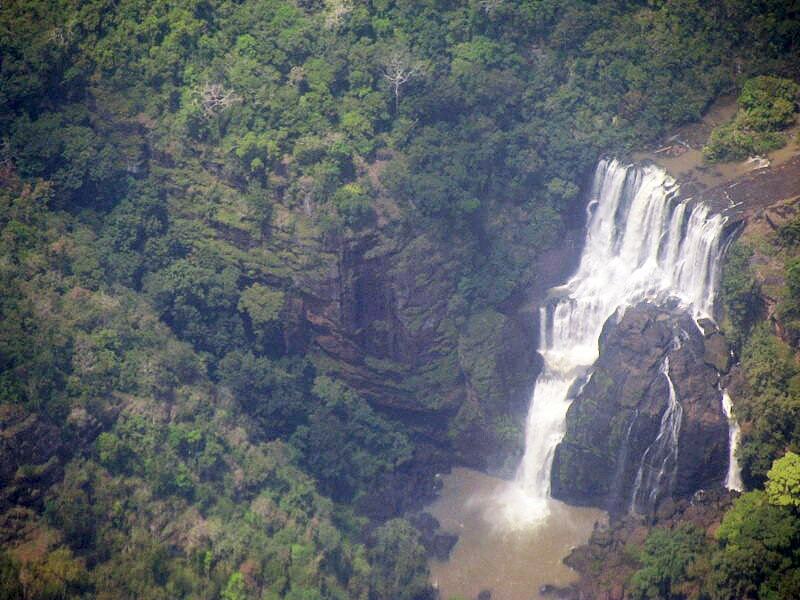 Wawoi Falls – Papua New Guinea, Western Province. Powerful, wide and tall waterfall in a beautiful jungle setting. Arapus site of dwarf crocodile fossils – Vanuatu, Shefa, Efate island. In 1999 here, in 3,000 years old human settlement were found bones of extinct dwarf crocodile Mekosuchus kolpokasi. This crocodile most likely was shorter than 2 m. It seems that this unusual reptile was eliminated by humans. Meiolania damelipi find in Teouma – Vanuatu, Shefa, Efate island. Human settlement with remnants of highly unusual, 2 m long horned turtle in garbage pile. This turtle survived on this island until the arrival of first people some 3,100 years ago. 2,800 years ago it went extinct. Pindai Caves – New Caledonia, North Province. Three caves. A rich find of recently extinct New Caledonian fauna – giant horned turtles Meiolania, enormous bird Sylviornis (1.2 – 1.6 m tall), unique terrestrial crocodile Mekosuchus inexpectatus and many other animals. Some of these extinct animals were contemporaries with people. Volivoli Caves (Voli-Voli)– Fiji, Central, Viti Levu. In these caves have been discovered remnants of extinct large reptiles – 1.5 m long iguana Lapitiguana impensa and up to 3 m long terrestrial crocodile Volia athollandersoni. Found also remnants of the large (nearly 1 m tall) megapod Megavitiornis altirostris and smaller Megapodius amissus. The enormous iguana went extinct only after the coming of people some 3,000 years ago. Here were found remnants of an extinct giant dove Natunaornis gigoura similar to the dodo from Mascarene Islands. Carstenz Peak (Puncak Jaya) – Indonesia, Papua. One of the few locations in the world with glaciers near equator. Alpine zone of Carstenz Peak contains numerous endemic species of plants and animals. Baie des Tortues (Turtle Bay) – New Caledonia, South Province. Visually very impressive and striking grove of the rare Araucaria luxurians trees at the beach. Great White Wall – Fiji, Northern, Taveuni, in Rainbow Reef. Amazing dive site – a wall covered with white soft corals, reminds a snow covered mountain wall. Happy Lands Kauri Reserve – Vanuatu, Tafea, southern part of Erromango island. One of the last stands of kauri (Agathis macrophylla) – giant trees reaching up to 40 m height and 10 m circumference. Earlier it was considered that this is local species Agathis obtusa, but lately it is joined with other species of kauri in region. Area with high biological diversity. Highlands of Fergusson Island – Papua New Guinea, Milne Bay Province. One of the little explored areas in the world (biologically) – pristine montane rainforest which most certainly contains numerous unknown species of plants and animals. Lake Letas – Vanuatu, Torba, Gaua island. The largest lake of the smaller Pacific Islands. 19.7 km² large crater lake, up to 360 m deep. Near Mount Garet cone the water is warm, stained with sulfur. Lake contains many taboo sites for local people and has high cultural importance. 19 endemic species of plants, several endemic animals, unusual biotopes. Temperature of lake water is 32°C and few aquatic animals (eels and shrimps) can live in this heat. Lake Tegano – Solomon Islands, East Renell Island, Renell and Bellona. Unique biotope, one of the largest lakes in insular Pacific. Large lake (15,500 ha) – former lagoon of atoll – with rugged limestone banks and islands. In the lake and around it live numerous endemic animals (including four species of unique birds), algae and diatoms. Banded sea snake Laticauda crockeri is endemic to lake. Forests around the lake are undisturbed, there are 10 endemic species of plants including orchid Dendrobium rennellii. Mount Bosavi crater – Papua New Guinea, Southern Highlands Province. Crater in extinct volcano, some 4 km wide and 1 km deep. In 2009 here were discovered 40 new, endemic species, including the 82 cm long Bosavi Wooly Rat. Mount Giluwe subalpine grassland – Papua New Guinea, Southern Highlands Province. Vast alpine grasslands near the top of second highest mountain in Papua New Guinea, the 4,368 m tall Giluwe volcano. Starts at the height of 3,200 m and contains numerous endemic species of animals and plants, including endemic tree ferns, frogs, wooly ground cuscus. Snow is covering the area occasionally. Norfolk Island subtropical rainforest – Norfolk Island. The last remnant (5 km²) of the unique Norfolk Island rainforest. Many unique endemic plants including the tallest tree fern of the world (Cyathea brownii, up to 20 m tall) and last natural stands of Norfolk pine (Araucaria heterophylla). Riviere Bleue rainforest – New Caledonia, South Province. Remnant of New Caledonian rainforest, growing on ultrabasic rocks. Contains large amount of unique species of plants – more than 400 species are endemic to New Caledonia. Here lives the densest population of unique kagu bird (Rhynochetos jubatus). Tetepare rainforest – Solomon Islands, whole Tetepare island, Western Province. Tetepere island is not inhabited for more than 200 years and is one of the last undisturbed lowland rainforest (120 km²) in this part of globe with several endemic species, including unique freshwater fish. Island has evil fame among the people of nearby islands: according to local legends numerous people died on Tetepare due to evil sorcerers and spirits and now it is considered to be an "island of ghosts". Banyan trees of Tanna – Vanuatu, Tafea, Tanna island. Many historical villages of Tanna island have giant banyan trees which are located in the center of local culture – dancing place (nasara). Diameter of such trees reportedly reaches 50 m. Banyan in Lomteuheakal has approximate trunk circumference of 26 m. Banyan of Yakel village has a house built on top – this house is used for circumcision of local boys. Kaluas is considered by locals to be the largest banyan tree in the world. Tree is extremely large, unfortunately no data about its size found. Northern Malaita diamond pipes – Solomon Islands, Malaita. Unique find of rare rock compositions (alnoite, lharzburgite) – possibly the first known diamond pipes in oceanic crust in the world. Found garnets and microdiamonds and there are expectations that diamonds will be found here as well. Ropen of Umboi Island – Papua New Guinea, Umboi Island, Morobe Province. According to tales and legends sometimes here is seen a featherless, enormous flying creature. In the night, while flying, it is glowing for several seconds. It is seen in other parts of Papua New Guinea too but less often. Some believe that this might be a flying reptile similar to pterosaur. Bao shrine complex – Solomon Islands, Western Province. Group of 18 shrines built from large basalt slabs and lined along a high ridge in the interior of New Georgia Island. Shrines were built around 1200 AD and represent the oldest monument of Roviana culture. Buin megaliths – Papua New Guinea, Bougainville Autonomous Region. In the area around Buin village are found numerous megaliths – stone tables (large, flat stones placed on smaller ones), stone rings (tsigoro), standing stones. It is possible that these monuments were created sometimes around 1000 AD. Bunmuyuw megaliths and other megaliths and burial caves on Woodlark Island – Papua New Guinea, Milne Bay Province. Stone rings and other stone settings of large corall blocks – burial structures from 500 – 1,200 AD. Often placed around the entrances in burial caves. Caves contain ancient writings (?) or petroglyphs. Megalithic structures are found also on other Trobriand islands. Kekehe megalithic complex – Solomon Islands, Ndora island, Western Province. Group of stone structures – 20 major structures, mostly platforms paved with basalt and coral slabs. Contains also upright basalt slabs and stone statues of ancestors. Nakauvadra Standing Stones and Narara Caves – Fiji, Western, Viti Levu. A group of 13 standing stones set in a rough circle and caves with ancient petroglyphs. Peter-ihi ceremonial dancing ground and Norohure ceremonial dancing ground – Vanuatu, Vao at Malekula. Unique monument – megalithic ceremonial dancing ground with ancestral slit drums. Nearby – enormous banyan tree. At Norohure dancing ground are placed large stone sculptures – faces. There are more interesting megalithic monuments in Malekula and Vao islands. Awim Cave art – Papua New Guinea, East Sepik Province. Several caves here contain up to 60 m wide panels covered with numerous paintings, some contain up to 500 figures. Figures are colored with white clay, coal and red ochre. Often color has been sprinkled, leaving negative images of objects – hands, feet and cassowary feet, leaves. In many caves of Upper Karawaru river in this area have been found numerous cave paintings. Some of these caves contain beautifully carved, up to 400 years old wooden figures made by Ewa people. Montfaoué – New Caledonia, North Province. The richest petroglyph site in New Caledonia. Here over a 200 m distance are scattered 156 large petroglyphs which remind European petroglyphs of Neolithic Age. Nambaiyufa Amphitheatre – Papua New Guinea, Simbu Province. Enormous sinkhole with ancient rock paintings on its walls. Raja Ampat rock paintings – Indonesia, West Papua. Diverse prehistoric rock paintings of high quality, made some 3000 – 5000 years ago. Vatulele Island petroglyphs – Fiji, Western, north-west of Vatulele. Beautiful ancient paintings on seaside cliffs, possibly left by the people of Lapita culture some 1000 BC. Yalo Cave and Apialo Cave – Vanuatu, Malampa, Malakula island. Caves of the spirits of deceased people who lived in this area. Yalo Cave (120 m long) contains some 750 rock paintings and engravings and Apialo Cave (smaller) – 1500 rock paintings and engravings. Many of these paintings are hand stencils, also drawings of faces. Initially – some 3,000 years ago – caves were inhabited. Many living traditions of local people are linked to these caves. Another important monument is stone of Navet’itiet located in another cave which also is adorned with engravings. According to the legends this stone is used by deceased ones to file off their noses. Foué peninsula Lapita pottery finds – New Caledonia, North Province. Group of closely located sites, where Lapita pottery was discovered. These specific, sophisticated articles were made sometimes around 800 – 400 BC by (possibly) the first people in this part of the world. Kuk Swamp – Papua New Guinea, Simbu Province. Papua New Guinea is one of the few locations in the world where developed indigenous agriculture. Kuk Swamp is good representative of this ancient local agriculture. It has been cultivated for 7 – 10 thousand years and up to this day there are well visible ancient ditches and drains. Nusa Roviana hillfort and shrines – Solomon Islands, Nusa Roviana island, Western Province. Impressive settlement complex – 600 m long hillfort with 3 m high, 2 m wide and 500 m long wall made of stone rubble. Settlement has 24 terraces for growing taro. Here are located 13 skull shrines filled with skulls of deceased chiefs. Many stones are adorned with beautiful carvings. 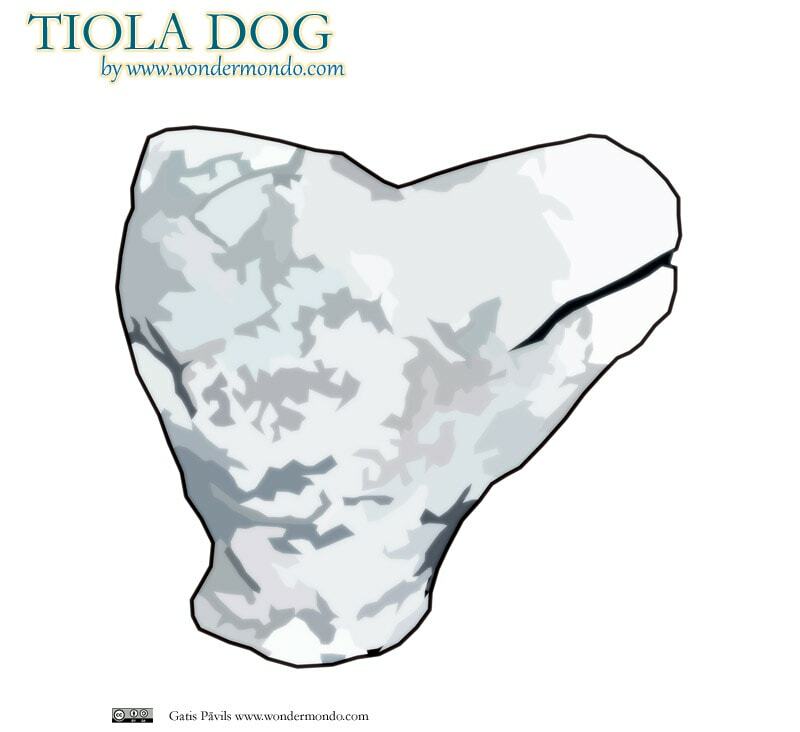 Small terraced area in the highest place of island contains one of the most important shrines in Roviana – Tiola or dog shrine with a stone carving – dog’s head. According to legends this statue is turning towards the direction where danger to Roviana is coming. Site was developed before the 19th century, dated finds from the 14th and 17th century. Fortress was destroyed in 1892. Vonavona Skull Island (Kindu, Kundu Hite) – Solomon Islands, Western Province. Impressive archaeological monument – tent shaped wooden shrine with decorated stone slab – door. This shrine sits on the top of coral mound and is filled with skulls of deceased chiefs. It is possible that in the front of other skulls is located the skull of feared head hunter – chief Higova (Ingova) who died in 1906. Around the shrine are broken shell rings – offerings. Ghosts of San Jorge – Solomon Islands, Isabel, San Jorge island. San Jorge island is the island of spirits of deceased. Here are located caves with the skulls of deceased. Locals and also tourists tell stories about strange phenomena on island – singing in the night, ceremonial place kept tidy by unknown people, etc. Kakamora caves (Kakangora caves) – Solomon Islands, Makira-Ulawa. Legendary, inaccessible caves, where, according to locals, live Kakamora people – ancient dwarf people, just one meter tall, walking naked and endowed with incredible strength. Many believe that these people still exist. Agaiambo Swamp – Papua New Guinea, Northern Province. Large swamp, last refuge of uncontacted pygmy people with very short legs, most likely extinct by now. Fort Belgica – Indonesia, Maluku Province, Banda Islands. Very impressive fort, built by Dutch East India Company in 1611. 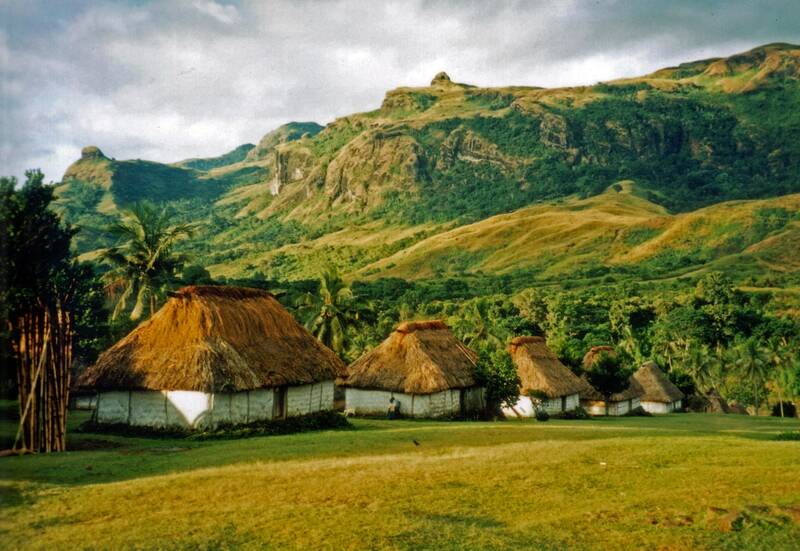 Navala – Fiji, Western, Viti Leva. Beautiful traditional village with intact, authentic etnographic architecture. The island countries of Melanesia belong to the least known regions on Earth. And Wondermondo can tell a secret to you – these islands are incredibly exciting! There are few other places in the world with that many captivating mysteries. Caves and sinkholes. In Melanesia are located some of the largest sinkholes in the world and some of most magnificent caves in the world. Most impressive sinkholes are located in New Britania (Papua New Guinea) and caves – in New Guinea. Ecosystems. The natural heritage on many Melanesian islands has been preserved very well – many islands still are covered with intact rainforest, here are located the most diverse marine ecosystems in the world. Here are located even glaciers and alpine grasslands. In Melanesia live the largest butterflies in the world, some of the largest beetles, centipedes, stick insects and snails in the world and many other exotic animals and plants. Megaliths, prehistoric cliff art and other archaeological heritage. The archaeological heritage of Melanesia is not much popularized but here are located truly surprising monuments. Region is rich with amazing megalithic monuments, prehistoric cliff art and other amazing monuments. Sites of legends. There are few places in the world where the legends about supernatural are that much intertwined with reality. Even white people forget their materialism here and start to believe in flying lizards, mysterious forest people and abandoned islands haunted by the souls of deceased people. ‘The South Pacific since 1513’ is a chronicle of over 1200 principal events in Australia, New Zealand, Polynesian and Melanesian islands, New Guinea, and Robinson Crusoe Island. This book is a comprehensive history and research tool. Anthropologist Albert Buell Lewis spent four years travelling through the former colonies of Melanesia. The field diaries that he maintained during this period reveal the story of how Lewis overcame extraordinary difficulties to assemble the collection of artifacts now preserved in Chicago’s Field Museum. This book contextualizes the diaries through a descriptive, interwoven commentary, extensive annotation, and a wealth of visual materials.